This Safavieh Adirondack area rug infuses contemporary style into any room in your home. Complete your home's contemporary design with this indoor rug made of plush polypropylene material. This rug is machine-made for convenience and quality combined. Modern style meets quality in this vintage/distressed patterned silver rug. Interior design is easy when you add this high quality Safavieh Adirondack area rug to your home. Modernly designed with you in mind, this plush polypropylene indoor rug will be a great addition to your home. Its machine-made construction is sure to endure the constant treading of feet and furniture. You and your guests will enjoy the lovely vintage/distressed pattern that decorates this red rug. Adirondack Alexa Silver / Black 6 ft. x 6 ft. Indoor Round Area Rug This Safavieh Adirondack area rug infuses contemporary style into any room in your home. Complete your home's contemporary design with this indoor rug made of plush polypropylene material. This rug is machine-made for convenience and quality combined. 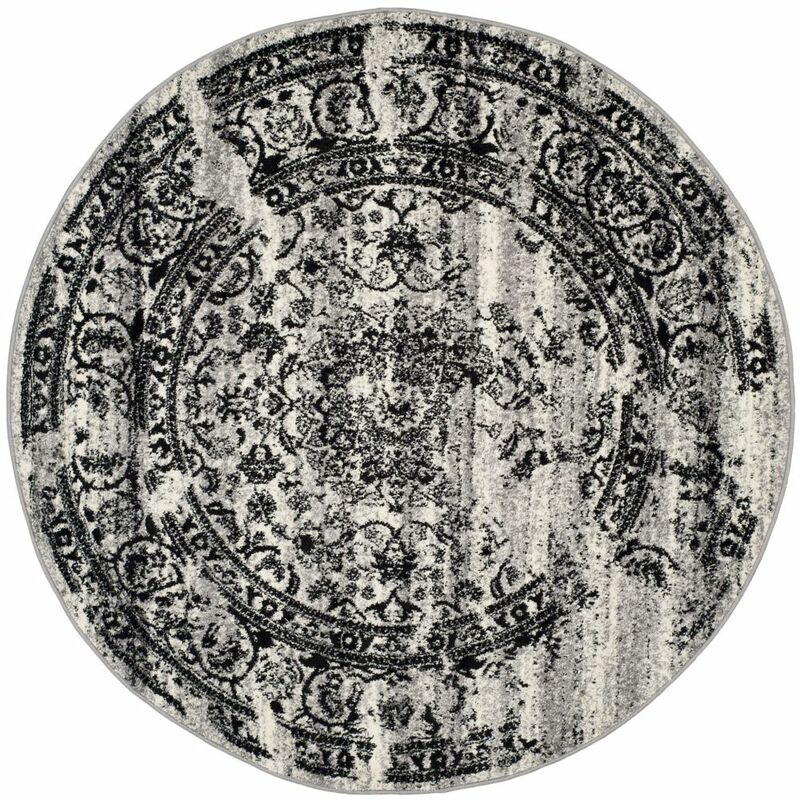 Modern style meets quality in this vintage/distressed patterned silver rug.